Hanoi (VNA) – Vietnamese shooters are striving to bring home three gold medals at the 29th Southeast Asian Games (SEA Games) in Malaysia from August 19-31. 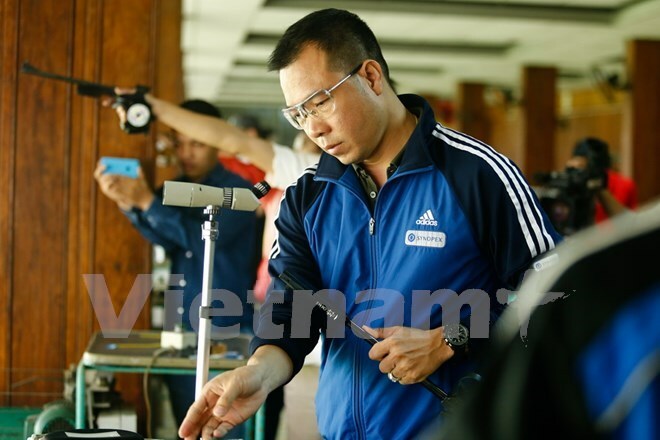 President of the Vietnam Shooting Federation Do Van Binh said the Vietnamese delegation, including 18 athletes, four coaches and one expert, will arrive in Kuala Lumpur on August 16. The 2016 Olympic winner Hoang Xuan Vinh will compete in the men’s 10m air pistol and 50m slow fire pistol categories, he added. Head of the Vietnamese sports delegation to SEA Games 29 Tran Duc Phan said shooting has become a strong point of Vietnam at international competitions in recent years. The first ever gold of marksman Hoang Xuan Vinh at the Olympic Rio 2016 in Brazil has created a milestone in the history of Vietnamese sports, he noted.